Finally, some blooms in the garden. 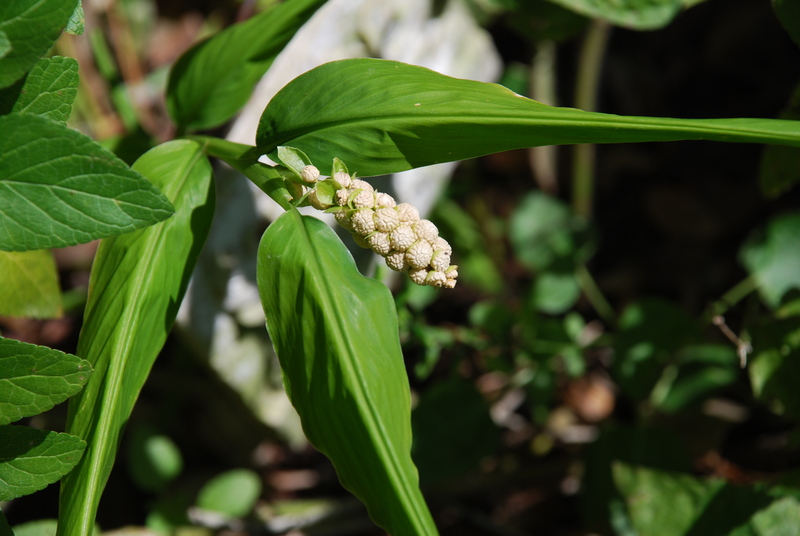 The few days of freezing temperatures halted the usual winter flowers. 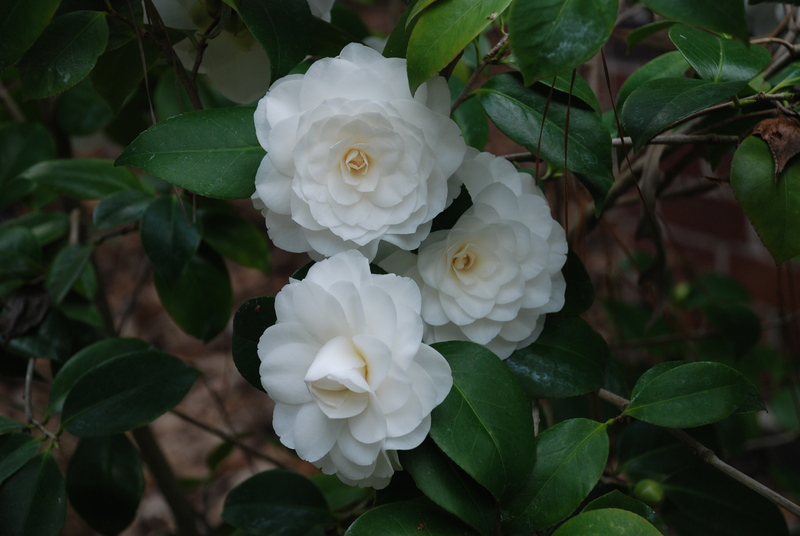 On the bright side, this White by the Gate Camellia is spectacular this year. 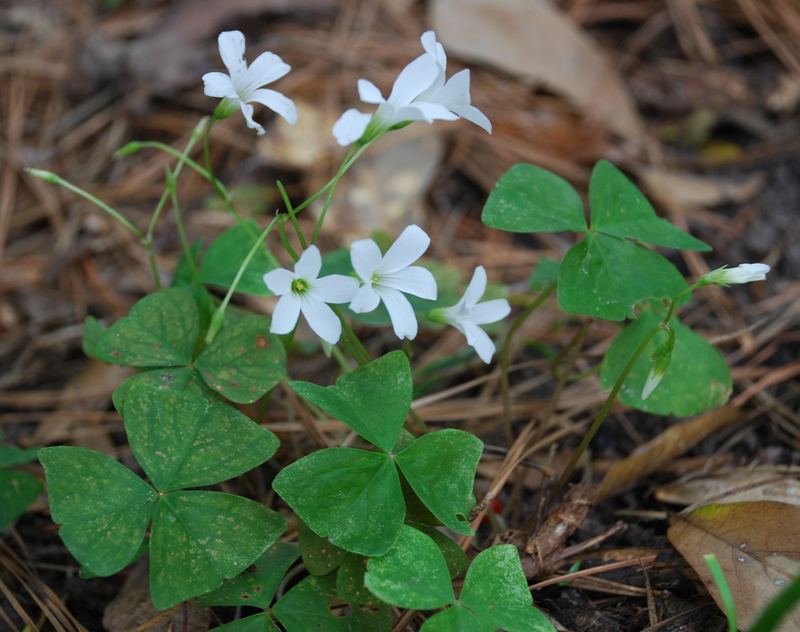 The cold and lack of rain prevented the usual growth of fungus on the flowers. 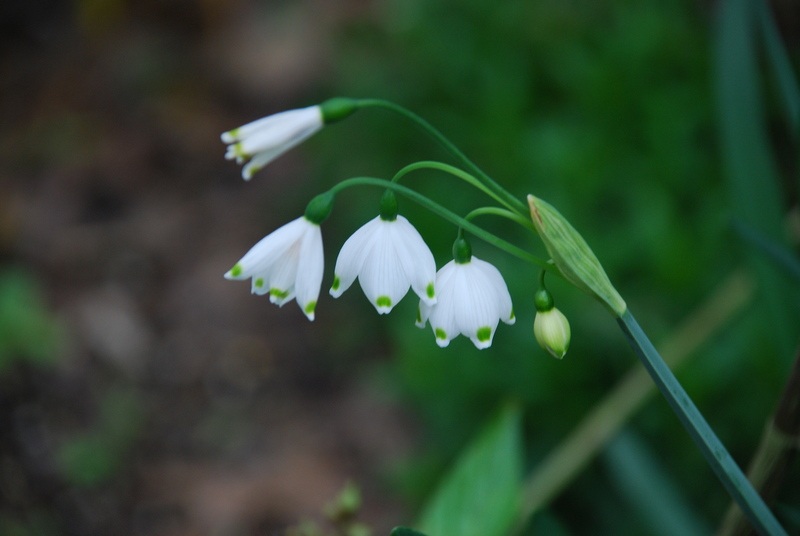 White flowers seem to be the first to bloom. Southern snow? The Paperwhites may also have enjoyed the cold. 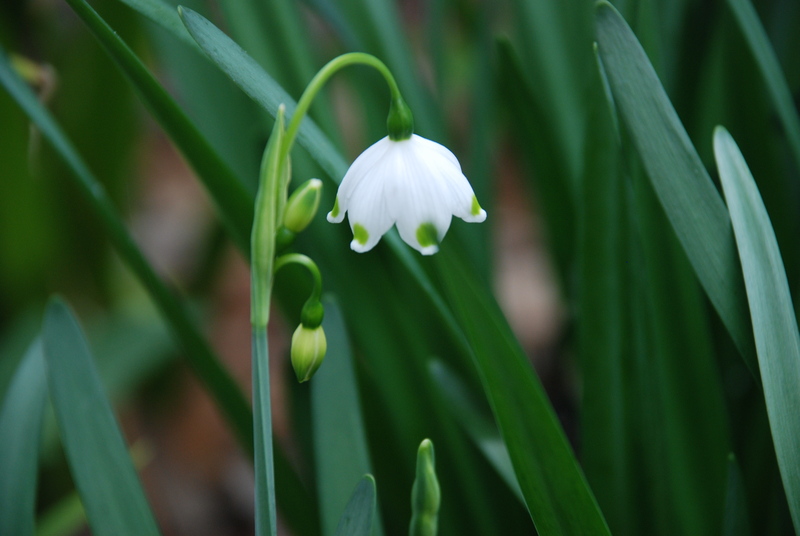 The Snowdrop is a reliable bloomer here. The green dots on the edges are so sweet. 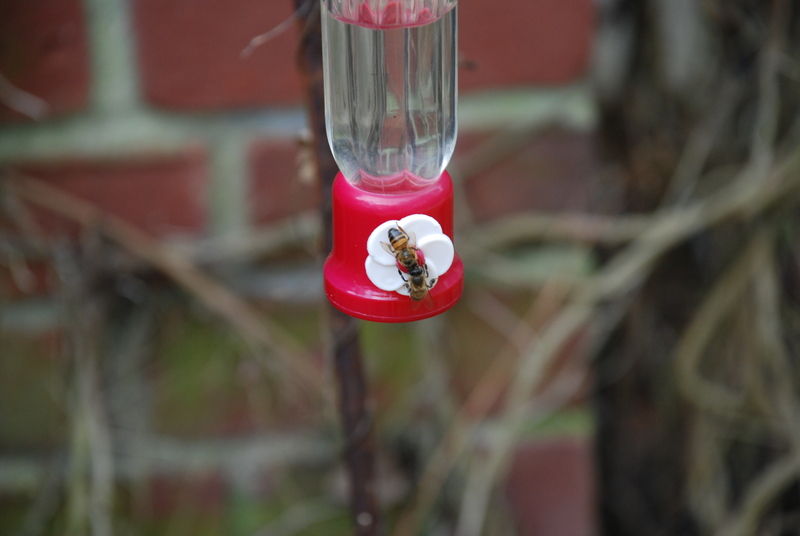 Bees have been getting their food from the hummingbird feeder, as not many flowers are blooming. The Hummingbird is quite upset about this and flies from feeder to feeder trying to chase them away. The bees won’t budge! 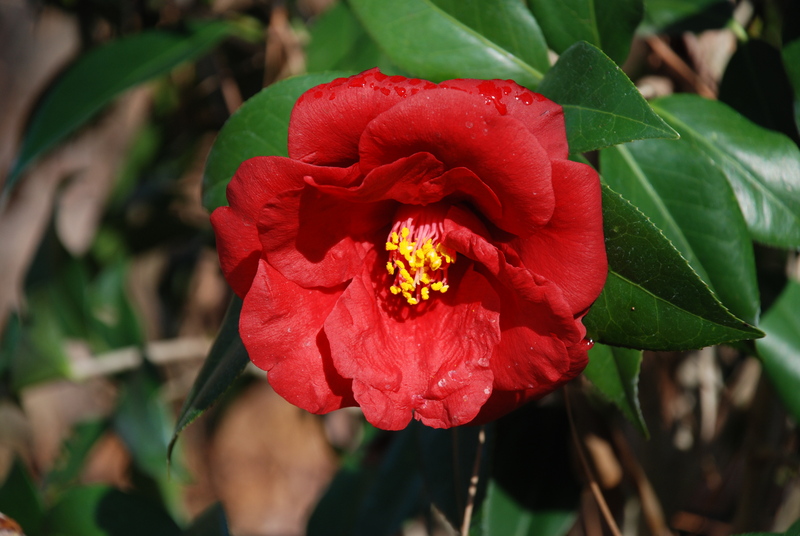 This Red Velvet Camellia is the only color in the garden at the moment. Paperwhite (Narcissus tazetta) A reliable bloomer. Snowdrops (galanthus) These grow Texas tall at over 20 inches. 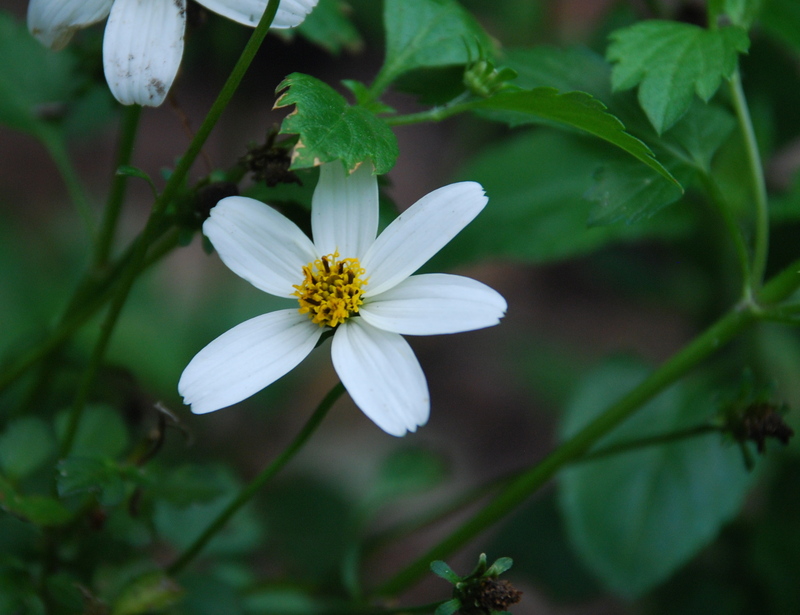 Pirate’s Pearl (Bidens humilis) Sold as an annual, but it still keeps going. 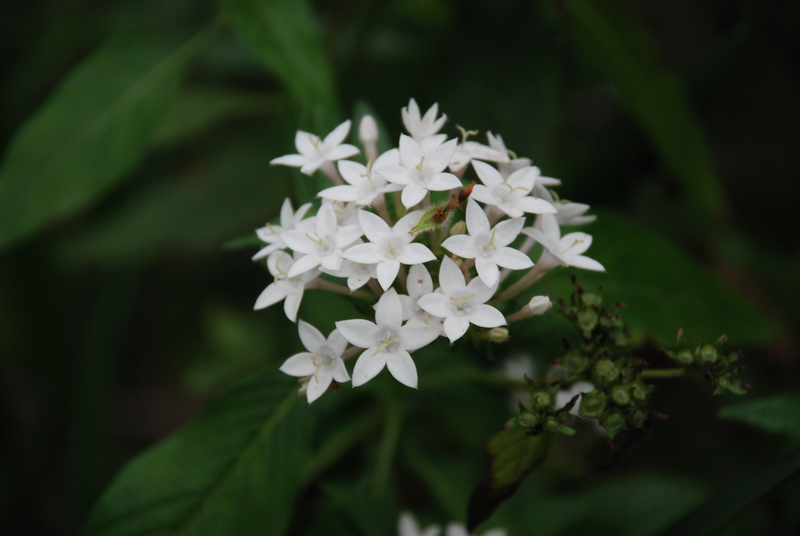 Penta (Rubiaceae lanceolata) This year’s winter was warm enough to keep it blooming. 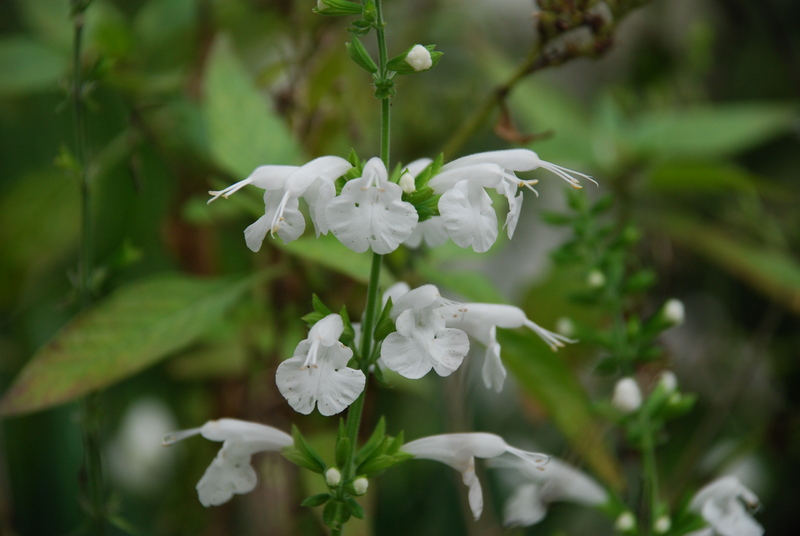 Salvia This variety has been in the garden for many years. It is root hardy and reseeds. Oxalis This was purchased in a grocery store 15 years ago and was sold as a “shamrock”. 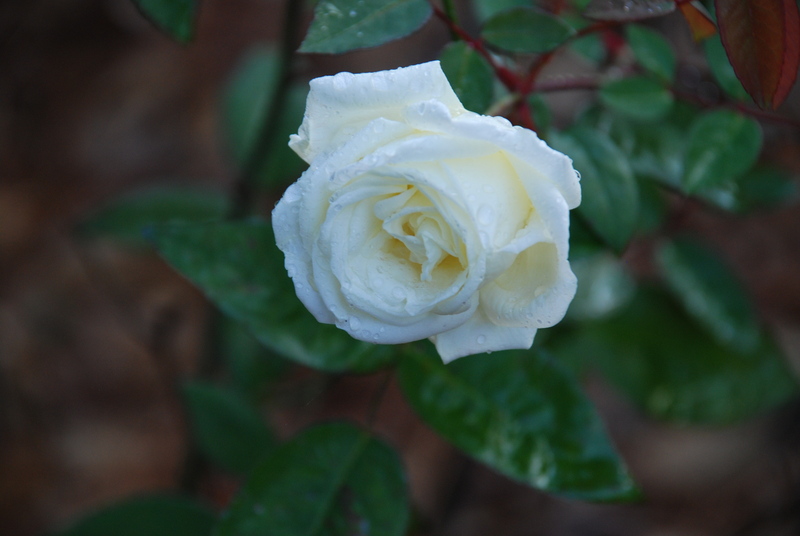 Rose (Ducher) An antique variety that likes to bloom in the winter. The Automatic Garden has had many plants blooming during this mild winter, which have kept the Rufous Hummingbirds happy. 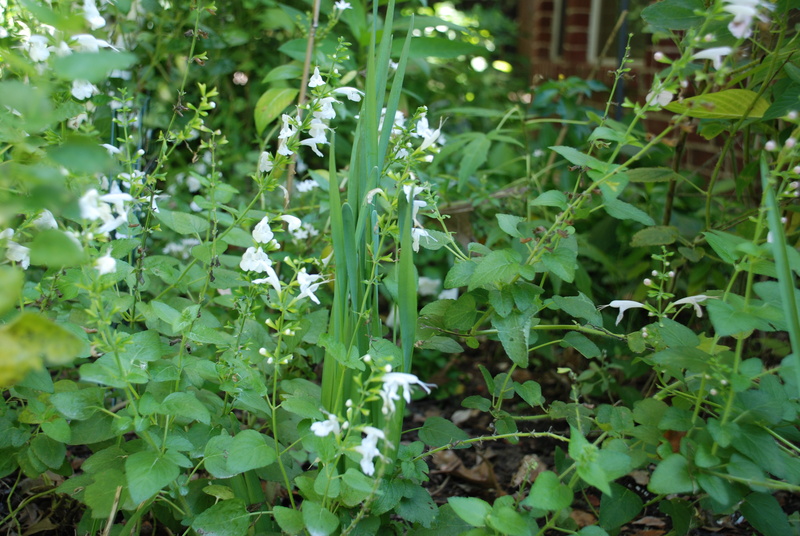 Quite a few of the white flowers are currently blooming. All have been in the garden for many years with the exception of of the Pirate’s Pearl which was added late last summer and has exceeded expectations. The ginger, Dancing Lady came up through the Snowdrop bulbs last summer. ( See the June 1 post.) Now it has made corms to drop for new plants next year. The Snowdrops will soon take its place. 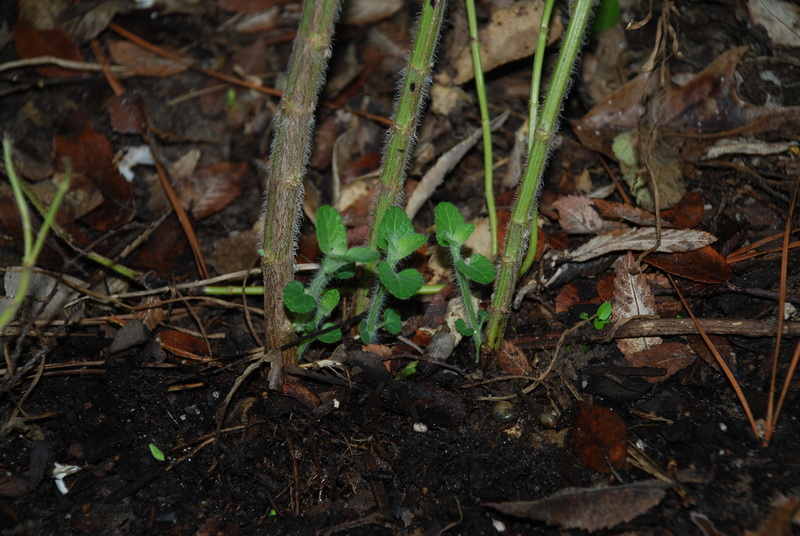 Next year’s Salvia plants sprouting at the base of the older ones. 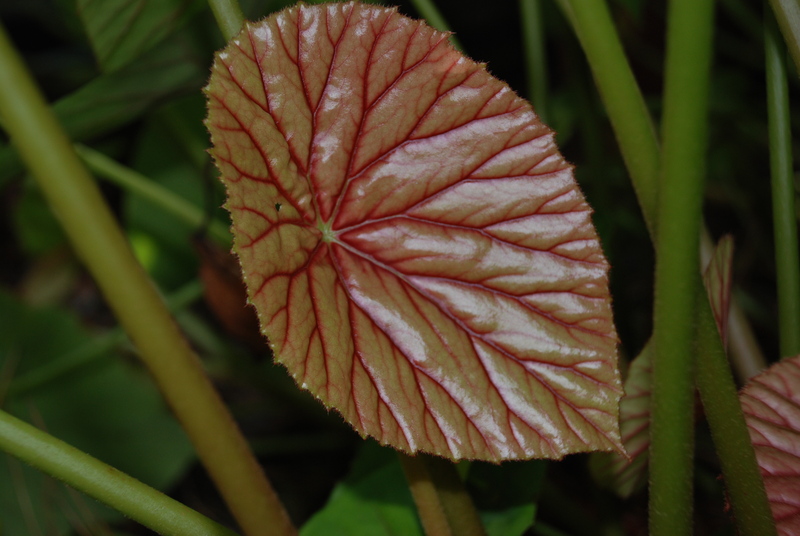 New leaves for a new season on the Hardy Begonia. 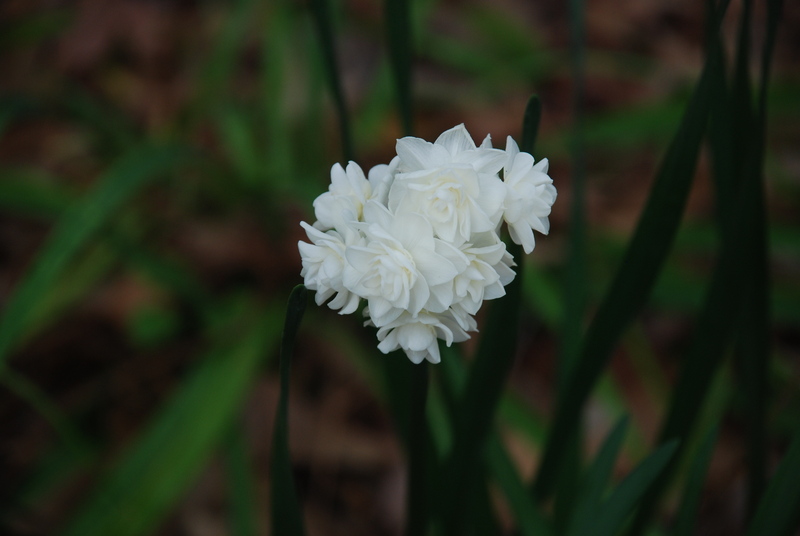 Paperwhites have popped up among the Saliva. 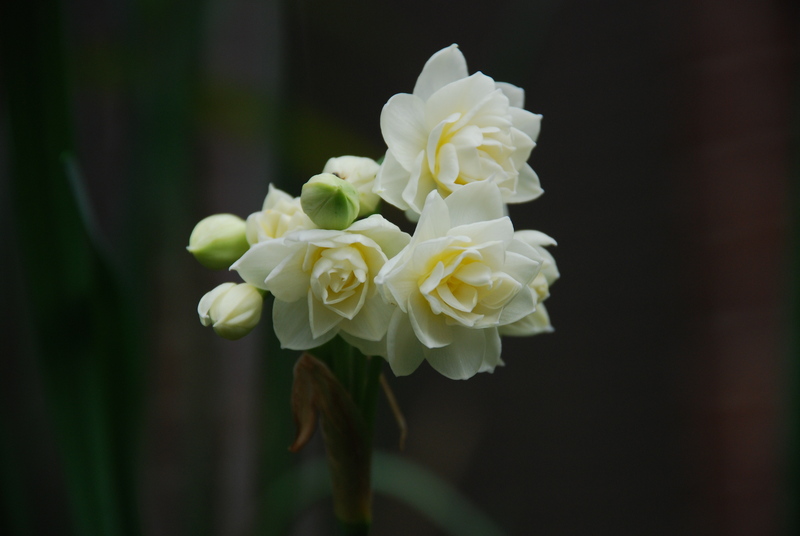 The Paperwhites will bloom when the Saliva is gone. 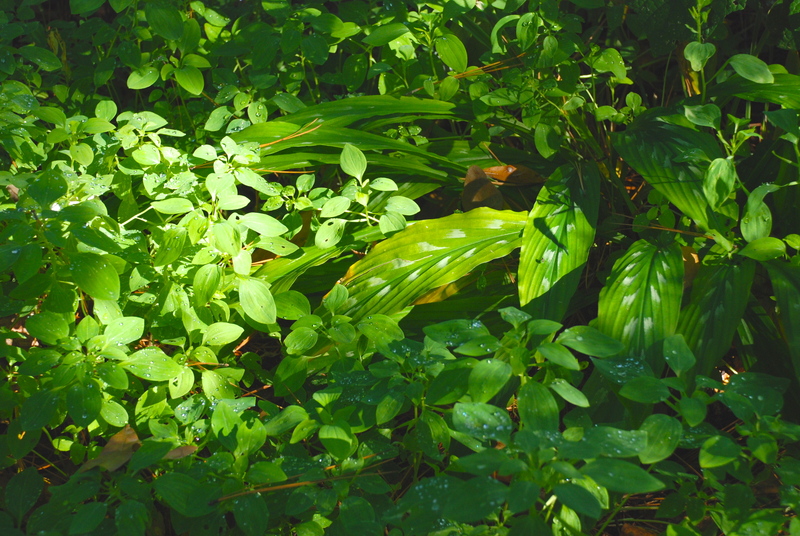 Peruvian Lilies are emerging as the Resurrection Lily ginger is disappearing for the winter. 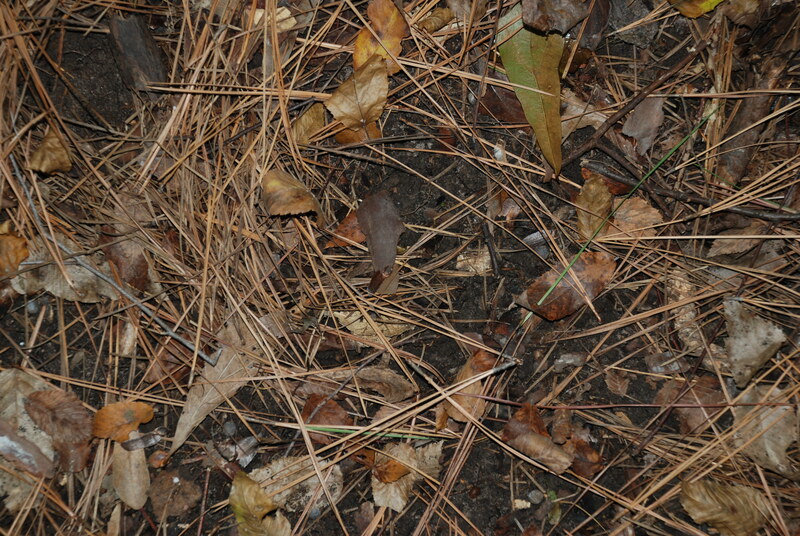 Last year’s leaves are mostly gone after providing nourishment and moisture throughout the summer for the trees. Now that fall is here, the ground will be replenished with newly fallen leaves. The Automatic Garden is preparing for future seasons. 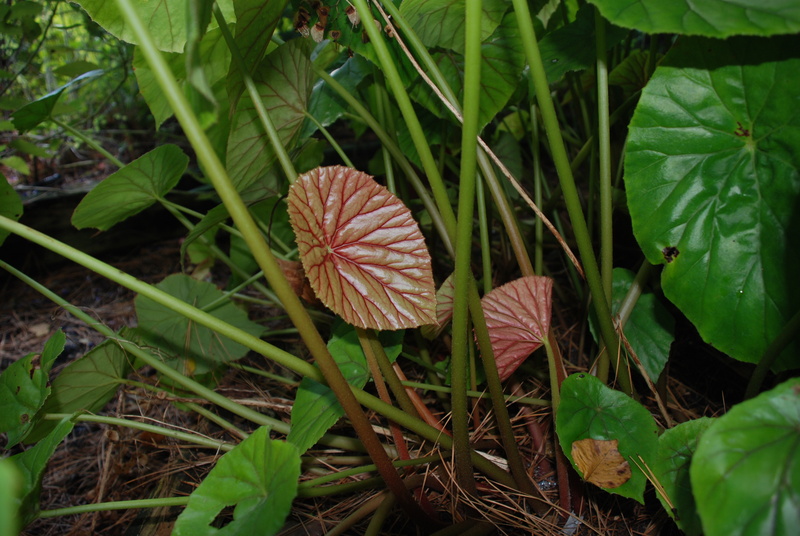 The changing of the season has stimulated some plants to end their growth and others to begin. Even the soil benefits from nature’s seasonal cycles.